Relatively small and compact, this topper can be used on any mattress and easily taken with you when on the road. Our Travel Mate wool filled topper is filled with 2″ of our Premium Eco Wool batting and is encased in soft, yet durable cotton sateen. Our Travel Mate is tufted through out so that the wool will not shift. Sleep your natural best every where you go! Travel Mates ship out within 1 to 2 weeks. Rush orders are available for an additional 10% charge. 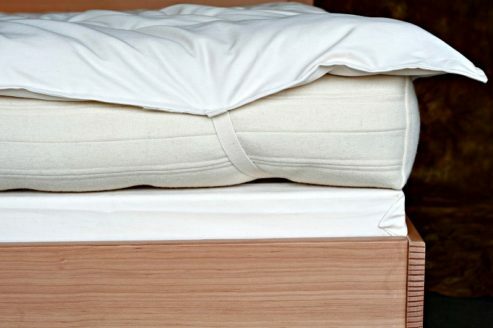 Filled with our Premium Eco-Wool batting and covered with our thick, soft cotton sateen, this Mattress Topper has elastic on the corners so that it can be attached to your mattress. It is 2” thick and easy to roll up and transport for travel. 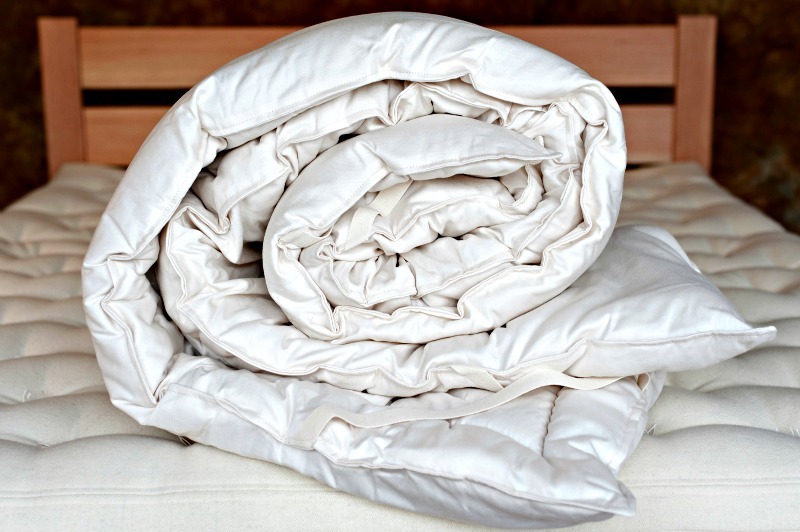 Add the benefits of wool to any bed whether it is at a hotel, in a tent, or in your RV. 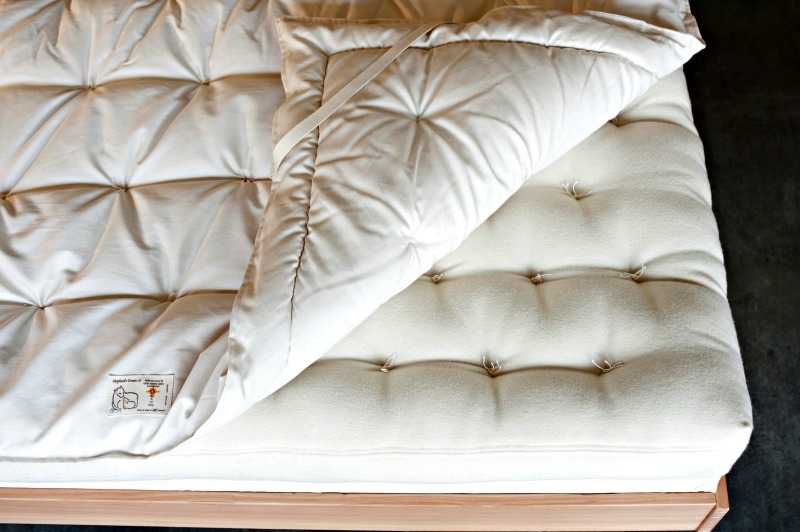 You’ll never have to compromise again with this compact mattress topper. 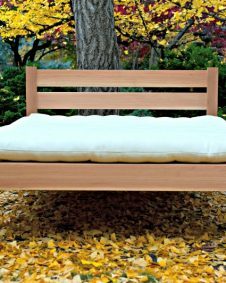 Though this mattress topper will compress between 30% to 40% within the first 6 months of regular use, wool always retains its comfort and natural resilience. Travel Mate or Snuggle Mate Mattress Topper? 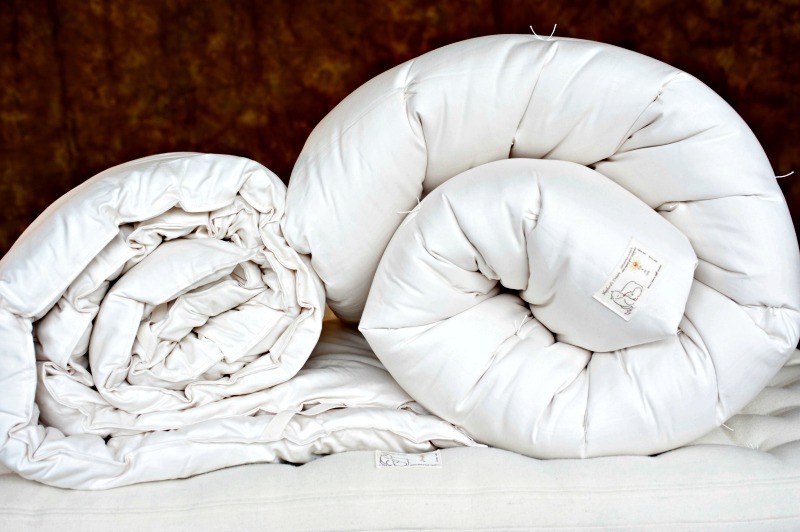 Different from the Snuggle Mate, this topper is ideal for people who would like to experience the benefits of wool next to their body, but don’t want to add a lot of cushion to their existing mattress. Many of our customers who have a latex mattress or a Tempurpedic, find this topper to work well with their existing mattress. 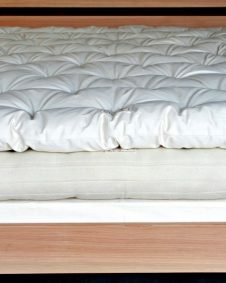 If you are looking to add substantial cushion to your mattress, we recommend the 3” Snuggle Mate topper.